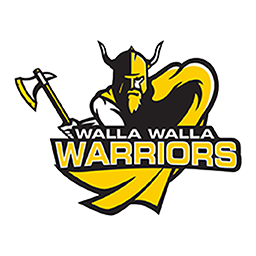 MOSES LAKE — Walla Walla notched its second important road win of the Northwest Athletic Conference East Region basketball season here Monday with an 85-76 conquest of Big Bend. 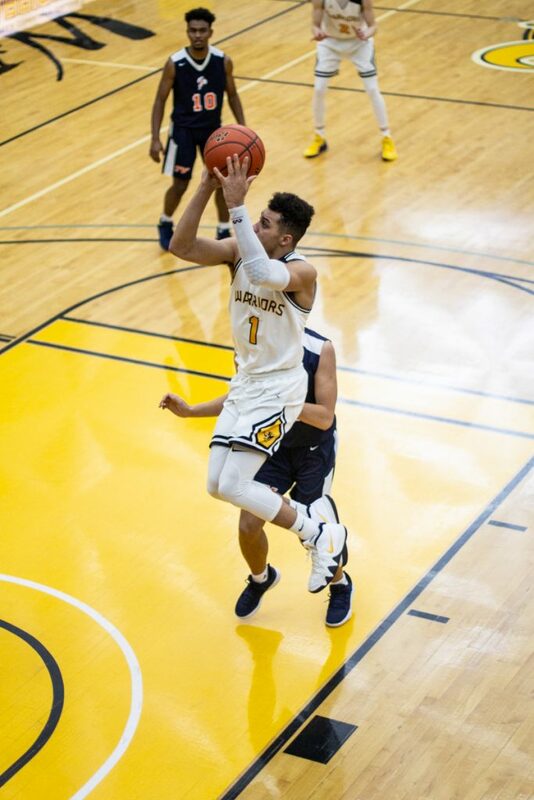 But men’s coach Jeff Reinland wasn’t passing out an abundance of accolades after his team bumped its season record above .500 at 10-9 and improved to 4-2 in the region, good enough for a share of third place with a Treasure Valley team they defeated 92-73 last week in the Dietrich Dome. The Chukars, 6-10 overall, were idle Monday. Reinland’s chief concern in the wake of Monday’s victory was his team’s lack of scoring balance. A trio of sophomores — Damen Thacker, Forrest Smith and Jake Albright — combined for 83 points while the rest of the squad contributed just two points on 1-for-24 shooting from the floor. Thacker poured in 41 points on 13-for-21 shooting overall and 5-for-8 from 3-point distance to lead all scorers. Smith sank 6-of-15 treys and tallied 28 points, and Albright added 14 points on 6-for-7 shooting and led the Warriors with 11 rebounds. Big Bend’s scoring was a bit lopsided as well. Koby Huerta and Seraphin Decker were the Vikings’ only two double-figure scorers with 27 and 26 points, respectively. Miles Brown contributed eight points and Mauricio Smith tallied five points and collected a game-best 12 rebounds. Trailing 38-35 at halftime, WWCC scored the first five points after the intermission to go on top, only to see Big Bend string together eight consecutive points to regain the upper hand. The loss dropped Big Bend to 12-5 overall and 2-4 in the East, tied with Blue Mountain for fifth place in the standings. Powerful North Idaho leads the way with a 6-0 mark following its 124-50 rout of Columbia Basin Monday, and Spokane is alone in second at 6-1 after defeating Blue Mountain 83-73 Monday afternoon in Pendleton. 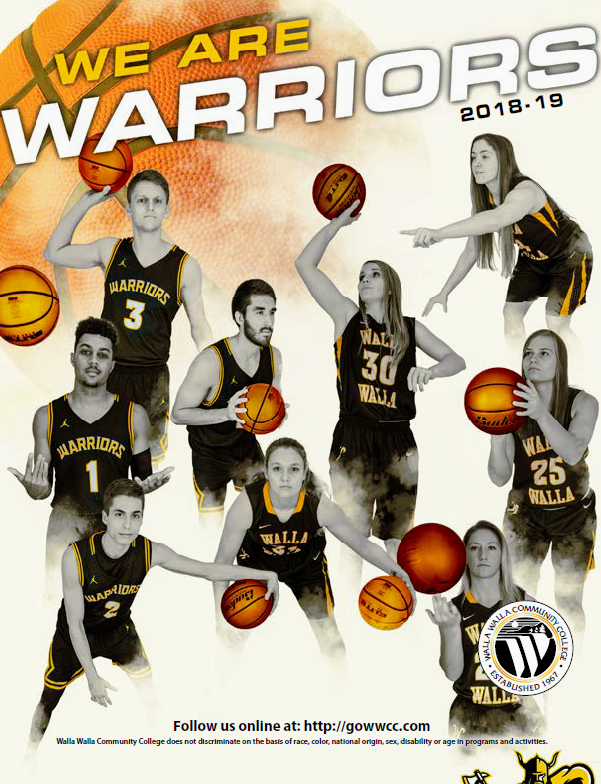 The Warriors will host the Timberwolves Wednesday night in the Dietrich Dome before traveling to Columbia Basin Saturday to complete the first round of regional play. “We are in that mid-to-end-lull part of our season which is pretty common, at least in our program,” Reinland said. “We have had moments where we have played pretty well, but in our last two games, even though we won those games, I think we can play better.